Also check out my 2017 hike of the park to Wolf Den with my sons! Ask people ‘round here where the Wolf Den is and they’ll most likely point you to Mohegan Sun’s concert arena. 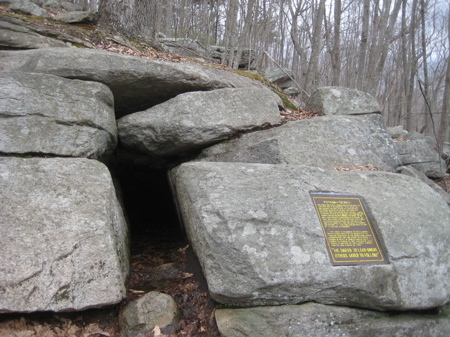 And while that’s a late 20th century structure about a half hour away from Pomfret’s much older, much smaller Wolf Den, there actually IS a historical connection between the two. I’ll give you a second to figure out what that could possibly be. Correct! As you surely know, Pomfret’s Wolf Den is situated in Mashamoquet Brook State Park and Mashamoquet is a Mohegan word for “stream of good fishing.” The region was once the domain of the Mohegan Chief Uncas – and of course the Mohegans are the now-wealthy tribesfolk who own (sorta) the massive Mohegan Sun casino which, of course, contains the Wolf Den arena. It all makes perfect sense. It also makes sense that the Wolf Den I’m talking about here is famous because a white guy committed an act of environmental crime and was a local hero because of it. This, on land the white guys bought from the native guys for 30 pounds who lived for a thousand years with wolves. The den itself is now listed on the National Register of Historic Places and has a handsome hand painted sign affixed to the rock face outside the hole. 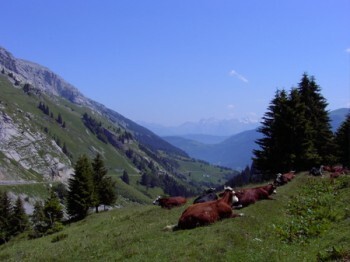 It is located along the blue trail high up on a steep cliff-ridden hillside. 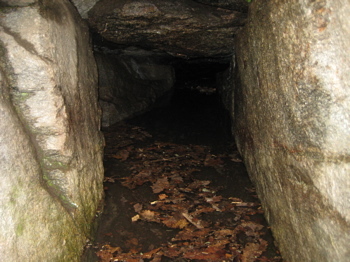 During my visit, the den was full of water and certainly not inviting – to human or to beast. I’d be remiss if I didn’t mention some more about Israel Putnam. He is one of those guys with all sorts of lore attached to him. He has a town named after him (guess the name), a cottage (museum) in Greenwich and perhaps most importantly, Putnam Park out in Redding. 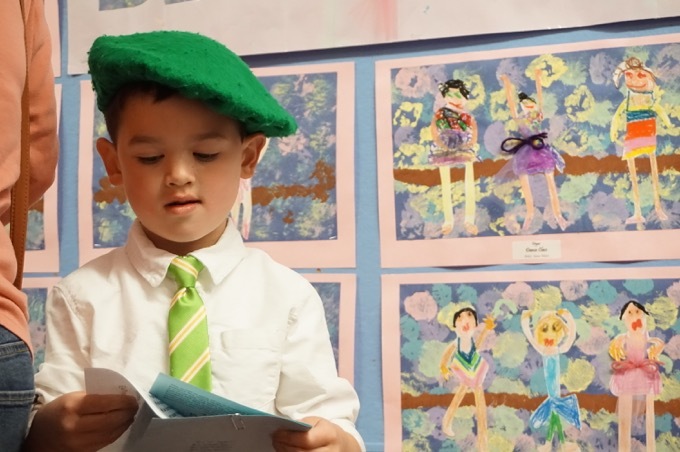 There, Putnam held down a Revolutionary War camp that is known as the Valley Forge of Connecticut – and also has a museum. There’s another cave out there too that I’ll get to someday as well. Back down in Greenwich, another legend associated with the man is that he saw the British coming to attack, hopped on a horse and rode it down some stairs (an event commemorated in a statue at the Redding park) to escape via a route the red coats couldn’t follow. So, in short, stick around and read enough of this blog and you’ll run into Ol’ Put again and again. I’ve always felt that there should be something up there, honoring that wolf. If what that sign says is true…whew! What wolf has a range like that (Putnam to the CT.River? ), yet takes 70 sheep from ONE farmer? 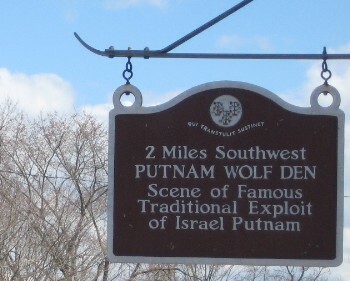 I grew up in Abington on Mashomoquet Farm on route 97 and Israel Putnam was my 7th great grand father. I have a painting of the Wolf Den that is old, very good condition and I am selling it for anyone who would like to have it. since I live in New Mexico and I have had it all my life it’s time to let go. Can you leave some contact info (email? ), to discuss the Wolf Den painting you have for sale? 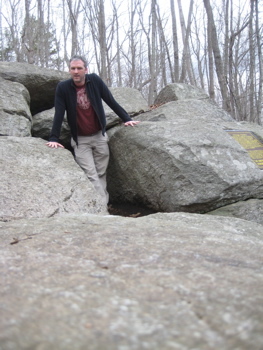 Having grown up in Pomfret and Woodstock, hearing/seeing the history of Wolf den and many of the other curiosities in Mashamoquet State Forest, I was curious if the Den is actually man made, and if it has any solstice alignments like many of the other several hundred American East Coast (From NC to Maine) rock structures. Google, for instance, the American Stonehenge in North Salem, NH. Thanks for the photos, and curiosities website, it’s very organized and interesting. Merlinda. Do you still have the painting? Can I see a picture of it? I’m going on a hike to the Wolf Den soon. But you call the killing of this animal “an act of environmental crime”! Are you serious? The wolf (a she-wolf by the way) just killed 70 sheep and goats just for the “fun” of killing them, and you say the local farmers commit an “an act of environmental crime” by hunting it down? Using your logic, these 18th century farmers should have called up an animal control officer and had it transported by helicopter to the Canadian wilderness.